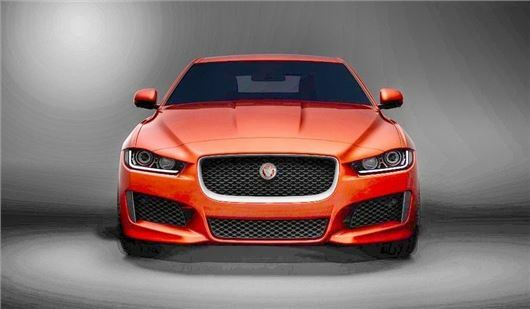 Jaguar has announced the new XE saloon at the Geneva Motor Show. It will launch the new mid-sized saloon - Jaguar's first since the X-Type - in 2015 with prices expected to start at around £30,000. The new car, which will rival the BMW 3 Series and Audi A4, will be offered in four and rear-wheel drive form. The styling – from what we have seen – looks to be an evolution of the XF saloon, but with detailing seen on the C-X17 SUV concept. The Jaguar XE will be powered by the brand-new family of engines, dubbed the Ingenium, due shortly to go into production in the company’s new facility in Wolverhampton. The range is likely to start well below 2.0-litres, although probably not at launch – the new engine factory is capable of producing three-cylinder power units. Jaguar says it will be available in a wide range of capacities and outputs, all promising to use the latest innovations in fuel-efficient technologies without sacrificing drivability. The engine's advanced design should mean impressive efficiency, with low emissions from less than 100g/km of CO2. Jaguar claims that the XE will be lighter and stiffer than its rivals for ‘unbeatable handling, performance, refinement and efficiency’.